Stillwater Weather - Advisories, Watches, Warnings, Etc. 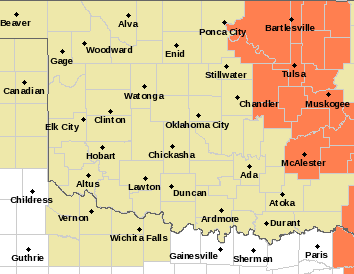 There are no active watches, warnings or advisories for zone OKC119. A statement generally provides additional or follow up information to an existing weather condition. An advisory is for less serious conditions that cause significant inconvenience and, if caution is not exercised, could lead to situations that may threaten life and/or property.